Vision Care Centers of Hawaii - Waipahu is pleased to offer a wide range of optometric services, eye care products including eyeglasses, specialty eyewear, frames, and contact lenses. Our staff is happy to help however we can. 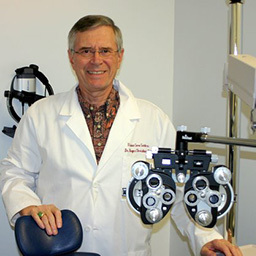 Dr. Roger Ede has been practicing optometry continuously since 1968. His first position was as a Captain serving with the US Army Medical Service Corps from 1968 – 1970. In 1971 opened his first office on historic Waipahu Depot Road below the sugar mill. Dr. Ede enjoys all aspects of optometry and welcomes new and regular patients at the Vision Care Center located in the Waipahu Towne Center. 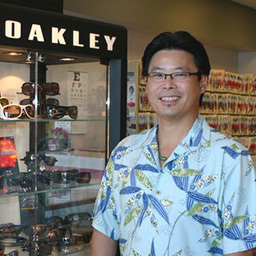 Dr. Duane Chang has been practicing optometry since 1988. He was a civilian optometrist at Tripler Army Medical Center prior to joining Vision Care Centers of Hawaii – Waipahu Clinic. Dr. Chang practices full scope optometry with an interest in eye disease management and contact lenses.